RCI has recognised CLC World Resorts & Hotels (CLC World) for the outstanding holiday experience it delivers to customers at its resorts in Spain. The resorts on mainland Spain and Tenerife have achieved great results through delivering excellent customer service, plus superb maintenance and cleanliness of the accommodation and general resort areas. In total 11 resorts received awards. Each resort was scored against five categories: Check In/Out, Hospitality, Resort Maintenance, Unit Maintenance and Unit Housekeeping. 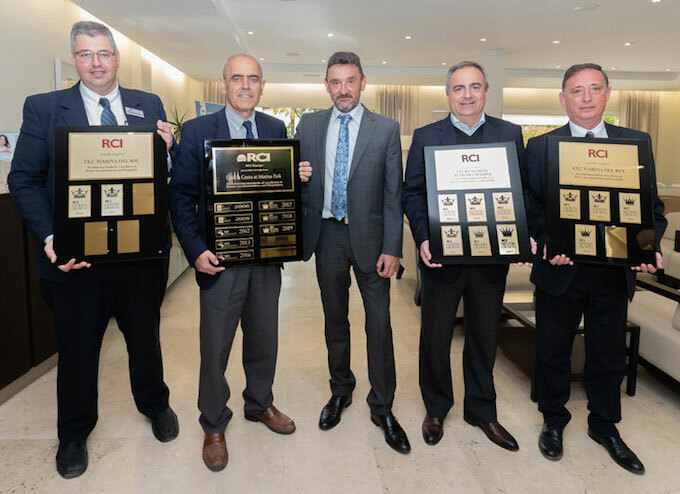 Recipients of the RCI Gold Crown Award were: CLC Sierra Marina (Costa del Sol), CLC Oliva Beach (Valencia), CLC Monterey, CLC Sunningdale Village and CLC Paradise (all Tenerife). The RCI Silver Crown Award was awarded to: CLC Marina del Sol, CLC Marina del Rey and CLC Marina Park, all part of Club La Costa World on Spain’s Costa del Sol. The RCI Standard Award was awarded to: CLC Benal Beach, CLC San Diego Suites and CLC Las Farolas Royale (Costa del Sol). José Luis Mella, CLC World’s resort operations director, said: “These awards reflect the consistently high standards that CLC World insists on.